Across London, young adult unemployment is at its highest since figures first started being collected in 1993 and is still rising, with over one million young people out of work. In Camden, there are currently 28,654 households without an adult in employment, and of those households, just over 1,300 also have dependent children. As these children grow into young adults, their unfortunate domestic circumstances become a barrier to their personal development and achievement, leading to their own struggle for employment. With so many obstacles in their way, it is no wonder that 16-24 years olds ‘not in employment, education or training’ (NEET’s) have become one of the most challenging groups in which to bring about change. Spear is an award-winning programme bridging the gap between unemployed 16-24 year olds and businesses. Over 2,500 young people have completed Spear over the past decade. More than 75% of students go back to education or find work, and remain there a year later after completing the program. These are outstanding outcomes, compared to other public or private initiatives, and Friends of North Bridge House (the School’s parent, teacher and friends association) is excited to be supporting the charity this term. 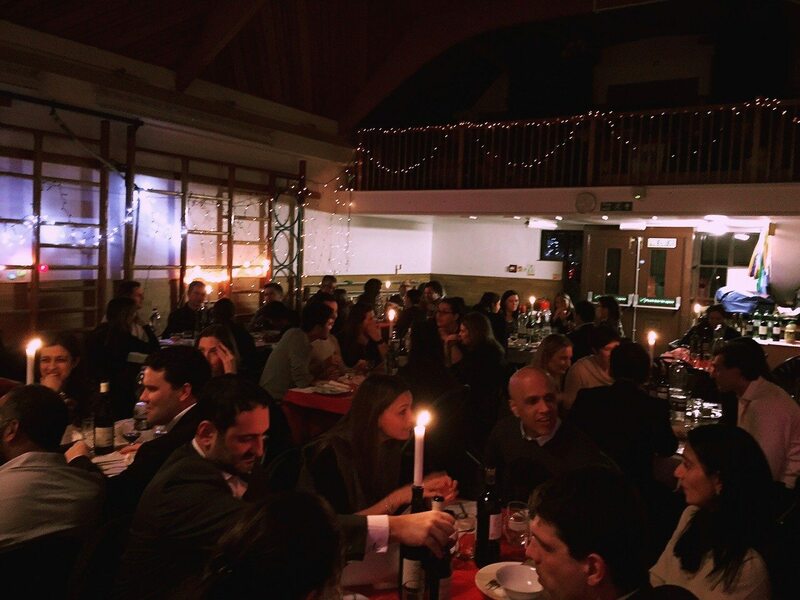 We kick-started our fundraising efforts with a good old fashioned quiz night, which took place in the beautifully appointed Nursery gym: tables were decorated with red and white tablecloths, candles glowed in old wine bottles and the gym was liberally strung with fairy lights to create a bistro type atmosphere. Eight teams of six/seven players participated, one of which was made up of parent sponsored school staff. Simon from Treehouse Quizzes took on the role of Quiz master, Mrs Pennock hosted and Mrs Kapoor represented the School’s Senior Leadership Team. The three also judged a highly controversial tinfoil sculpting competition with a London Underground tube theme. The King Crustacean (King’s Cross) sculpture wiped the floor, despite uproar from the creative team who made High Barnet from a torso with an exceedingly high haircut! Overall, the NBH Rebels cruised to victory by a narrow one point margin. The teachers’ team, Christine’s Angels came in a joint second and were highly commended. A total of £692.27 was raised and a great time had by all. An enormous thank you to Mrs Kapoor for giving up her evening to help out; Marco and Marie, two of the fantastically skilled catering team; Marc, the school caretaker who made sure we had everything we needed; Christine’s Angels and all the guests. We look forward to the rematch next year!